This entry was posted in Updates and tagged Welcome by Daigan Gaither. Bookmark the permalink. Ray and I wish you well in this trying time. What a beautiful page. Thank you Daigan and Vicky for this. 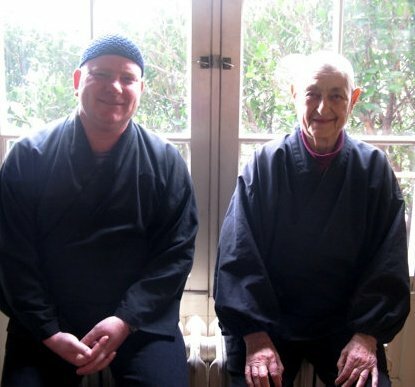 Sending you warmest wishes Blanch – your continuous, firm, steady, “nothing special” practice has been an inspiration for me throughout my time at Zen Center. Thank you. Sending boundless love and practice dedications from the East Coast, having been fortunate enough to encounter, and been touched by, Blanche’s wise and heartfelt teachings online at sfzc.org! How I would have loved to have met you, Blanche. We will do that in the Eternal.